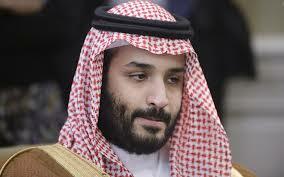 Leaked emails published by Middle East Eye have revealed that Saudi Crown Prince Mohammed Bin Salman wants to withdraw his forces from the war in Yemen. The emails date back to April 2017. Riyadh led a military campaign against the Houthi rebels in neighboring Yemen and launched on 26th March 2015 ‘Decisive Storm’ operation in a bid to reinstate Abd Rabbuh Hadi as the ‘legitimate’ president. More than 10,000 people have been killed and 40,000 injured in the war in Yemen. More than two years since the operation begun, most of the northern part of the country continues to be under the control of the rebel forces. Yemen’s population is in a devastating situation and the outbreak of Cholera has worsened public health safety as several medical centers lay in ruins. Two-thirds of the population, more than 18 million people, need humanitarian assistance and more than seven million are suffering from malnutrition. The Saudi-led coalition is lately at the receiving end of Yemen’s central bank wrath. Governor Mansr al-Qaiti lamented that the coalition has blocked cash deliveries to the bank 13 times for “unknown reasons”. The deliveries are made through the coalition controlled Aden airport. Written by: Peter Mulvany on August 14, 2017. Posted by Peter Mulvany on Aug 14 2017. Filed under Gulf News, Headlines. You can follow any responses to this entry through the RSS 2.0. Both comments and pings are currently closed.